I grew up hearing the old family stories. There was no television in New Hampshire in those days, but my grandfather remembered the family stories and passed them down. As kids there was one particular story we always wanted to hear every night: the story of when Indians attacked the family cabin in 1724. This story has been passed down in the family for almost 290 years! I wondered if there was a contemporary account of this in the old newspapers of the day. After a steady search, I found nothing about the attack on my ancestors’ cabin published in 18th century newspapers. But—I did find this, in an 1825 newspaper. One hundred years after the attack occurred, an announcement about my ancestor Elizabeth Hanson’s story was published in the newspaper. She had written about her ordeal, and eventually her personal account was finally published. I already knew about the story—but now I had a near-contemporary account and it was the same story that my grandfather told us, almost word for word. What a wonderful keepsake to have and pass down to keep her story alive! Search the old newspapers and other online genealogy resources and get your family’s stories. Find what has been written about them for the past 300 years. Don’t let your family’s history be lost. 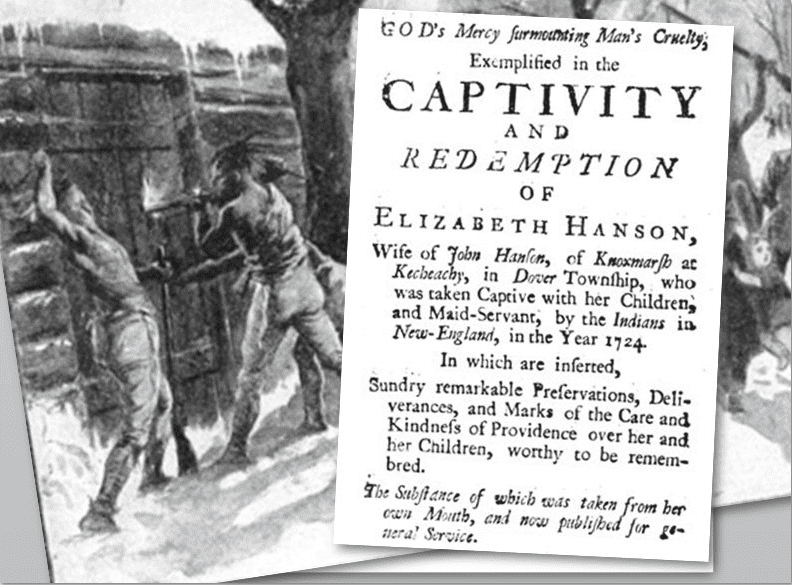 Was this Hanson family descended from Ella Stille of New Sweden? No, this is an English Hanson family.